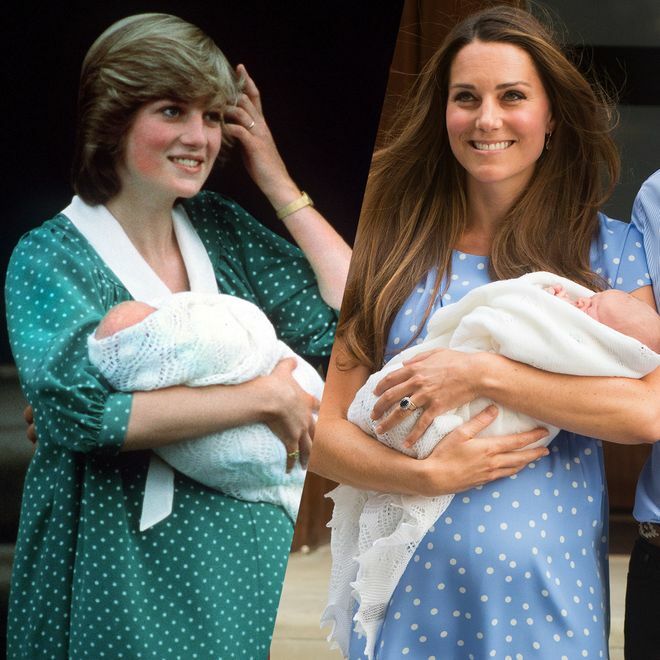 It is no coincidence that Kate presented her first Royal Baby wearing a polka-dot dress, as Diana had done with Prince William. A few years later, during the official presentation of Princess Charlotte, she opted for a red dress exactly like Diana when she left the hospital with Prince Harry. Let's take a look at all the stylistic similarities between Kate Middleton and Princess Diana!